I know I've absolutely pumpkin-ed you out and I'm sorry. 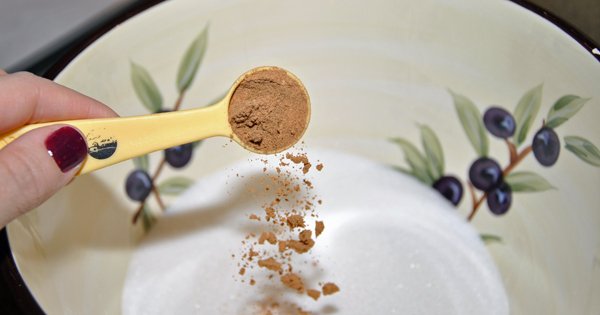 When I saw this recipe in a book the other day I debated about posting it online only because it calls for pumpkin pie spice. 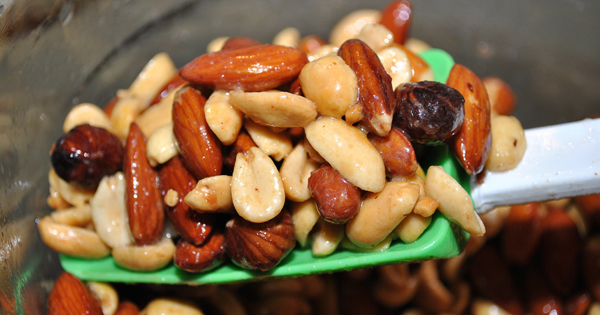 However, after I tasted these nuts and my family tasted them I knew this recipe had to be posted. 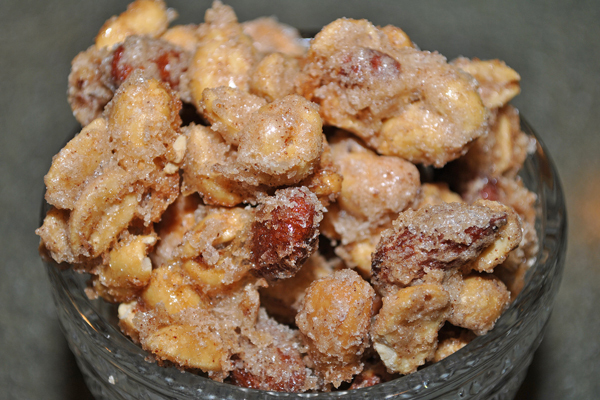 These Candied Spiced Nut Mix (recipe HERE) are the perfect addition to any holiday gathering. These would also make a great gift for the hostess by putting some in a decorative container or bag. I'm sorry that this week is another pumpkin recipe but I think when you try these Candied Spiced Nuts (recipe HERE) that you'll forgive me! I do have to note that I had a little trouble getting the extra sugar mixture off so I just dumped the whole bowl on to a parchment paper covered pan and baked. When it was cool the nuts were almost like a bark which was just as good! I can not wait...this weekend we will be decorating the house for the holidays! Christmas is my absolute favorite holiday. I love the music, the lights, the giddy kids who are eager for Santa, the Christmas cookies...I love it all. I especially love all of the family traditions that we have and being together to decorate the tree is one of my favorite. I hope you have a wonderful weekend! Monday kicks off my month of giving so make sure to stop back for the first giveaway!